“Love or hate the brand, Kei Miura and his fleet of bunnies are here to stay.” These were my final words from last year’s recap/interview post. The wide-body phenomenon may not be for everyone but it has been a mainstay in the car community. 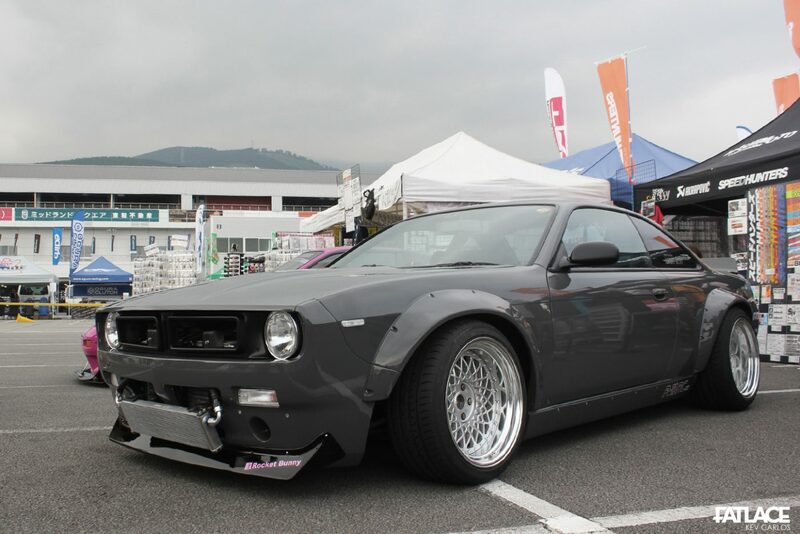 Judging from the builds I saw during the Liberty Walk x Rocket Bunny display / meet held during the Japan Motor Games, it shows that Miura-San took his creativity on a whole new different level. 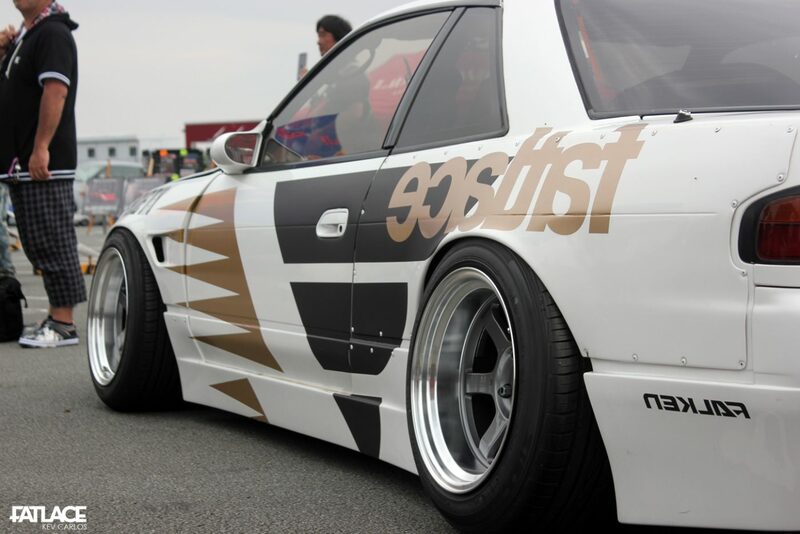 With a number of interesting builds for 2015 such as the RB NSX, a very fresh take on the S14, and notable exotics who went through the knife, it just proves that there is always evolution over the revolution. Enjoy the photos. Before dropping by the RB booth, I have seen several photos of this car online and I admit that I was half-hearted at first on how it would really appeal to me. 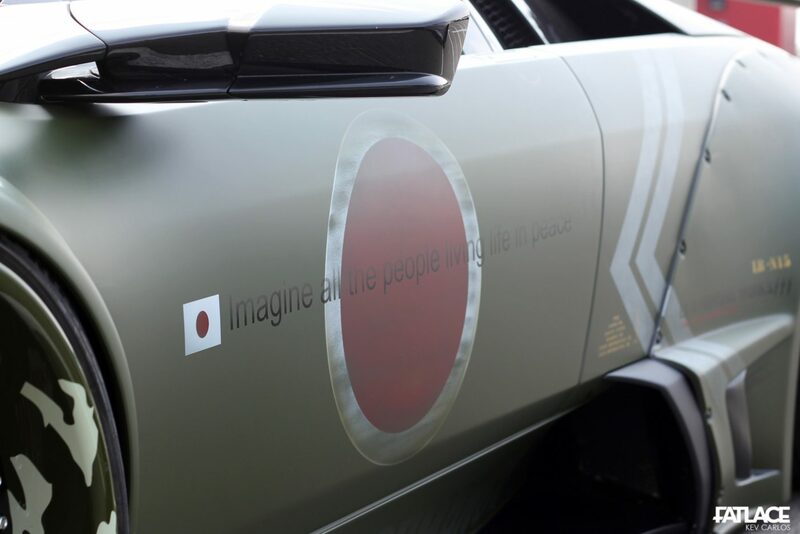 The first thing that came through my mind when I saw it in person was not on which car inspired him to do it – but what went through the mind of Miura-San in envisioning this wonderful idea. I had a short chat with Miura-San regarding his inspiration for ‘The Boss’ – he calls it a mix of his classic car ideas. 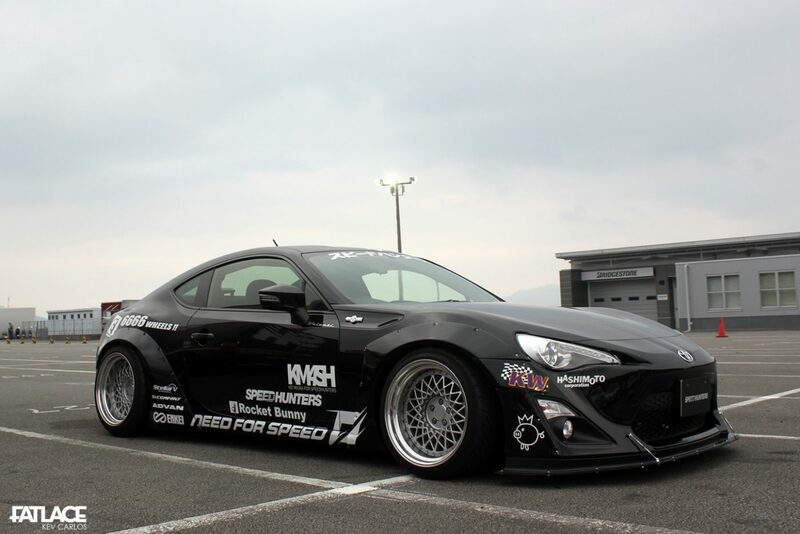 Wheel choice are Enkei x Rocket Bunny wheels, 17 x 9 up-front and 17 x 10 on the rear. 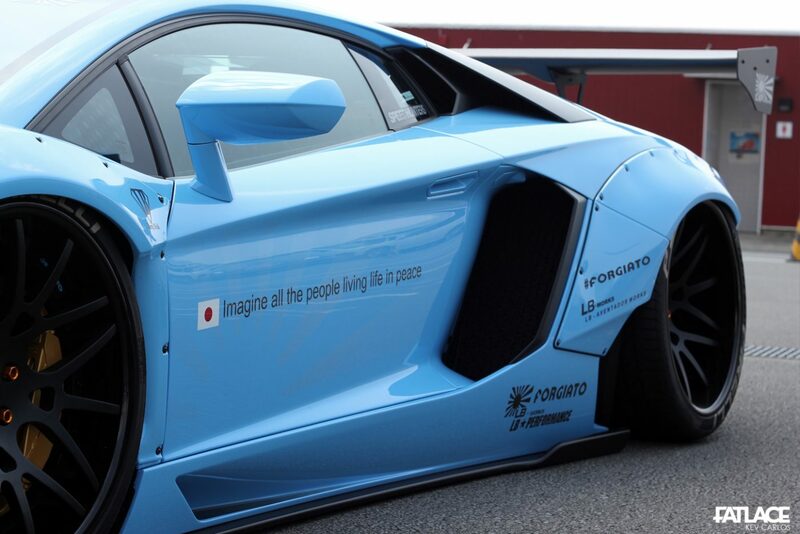 Miura-San explains on how he shortened the front end by 6 inches, as this made the kit look more proportional. 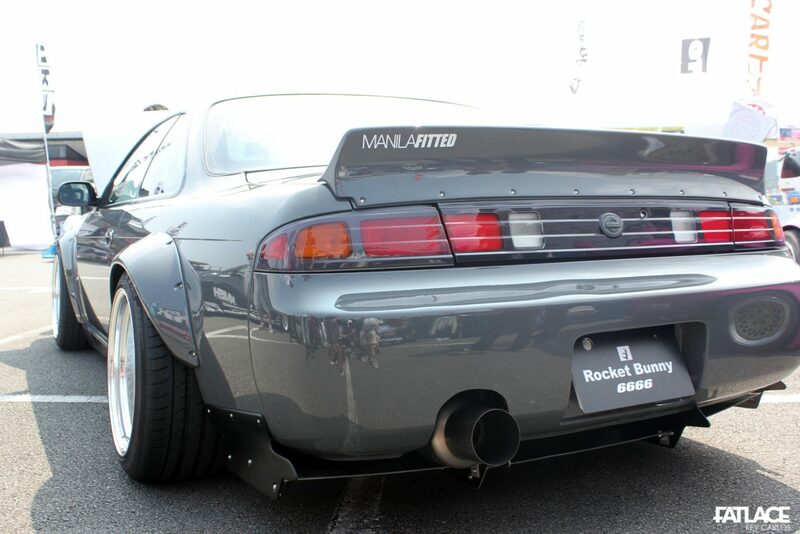 In my point of view, this also allowed the front chin to have more ground clearance; as S14’s are notoriously known to have a long front overhangs making it harder to clear speedbumps. I also took time to show Miura-San my recap of our “design talk” last year last year. 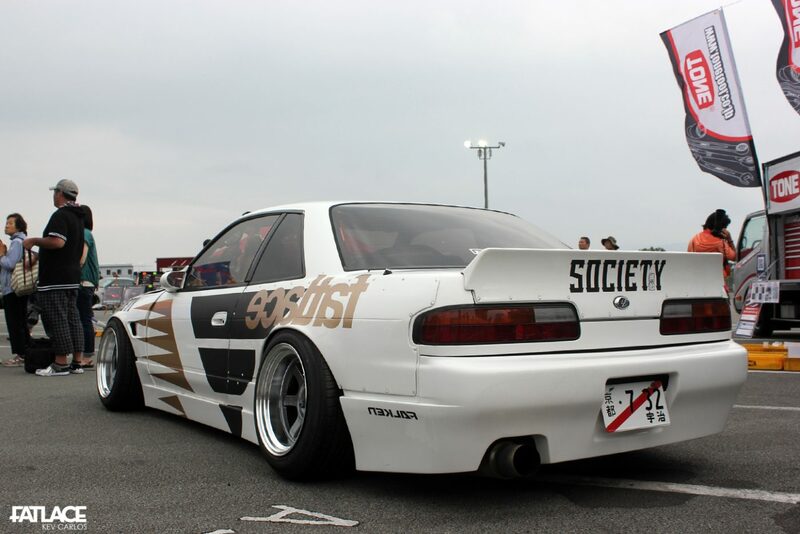 Miura-San smiled and quickly went to back of the car with my Manila Fitted sticker. Then this happened: Stoked to see Miura-San appreciate our small group. Again, thank you! 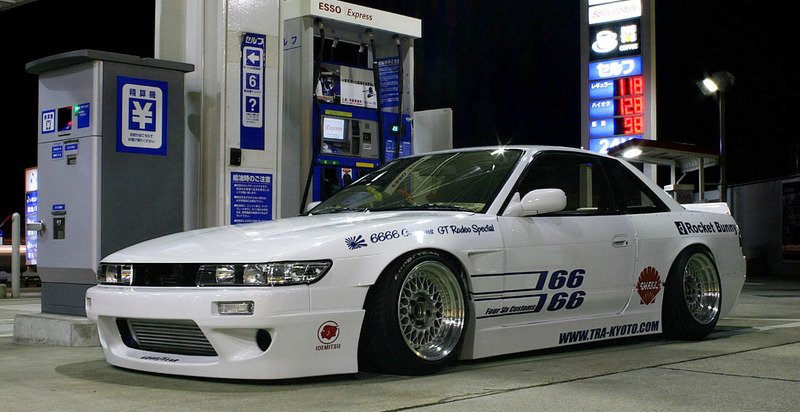 The second-built ‘Boss’ Silvia was also present, this time at the OKJP grounds. 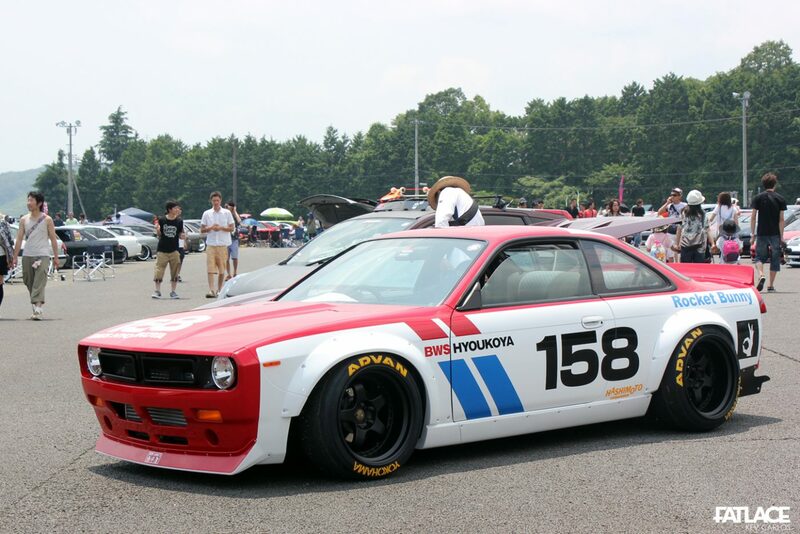 It had a BRE livery and was on 18′ Work Meisters. 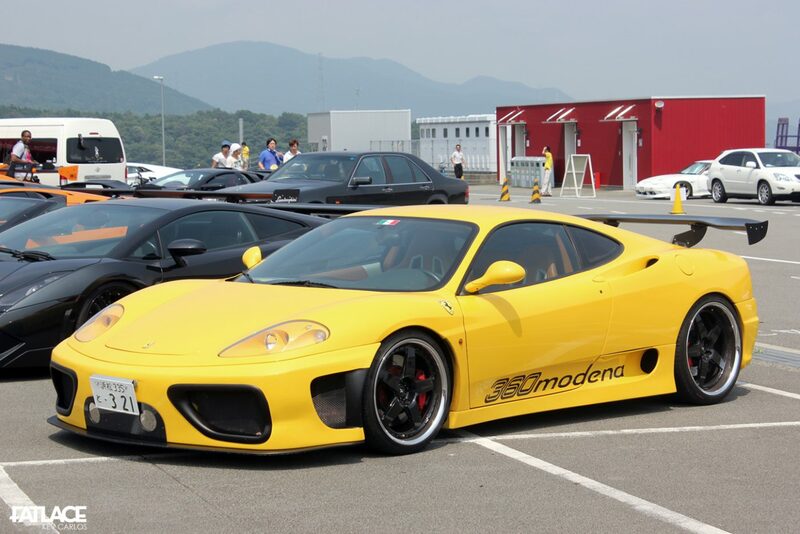 Miura-San also gave us a short brief description on what car he is currently working on – the E46 and the S30. Finally! 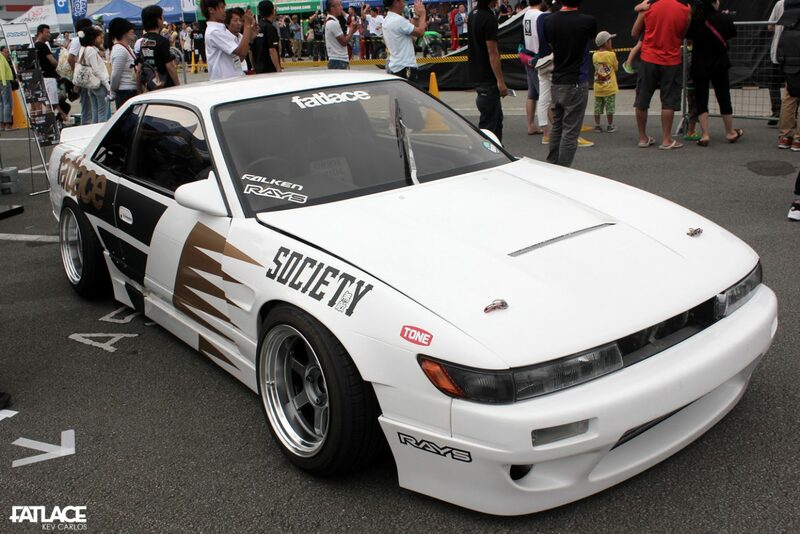 I got a glimpse of one of my favorite Fatlace demo cars – the S13 from Tokyo Auto Salon 2012 and Hellaflush Kansai. 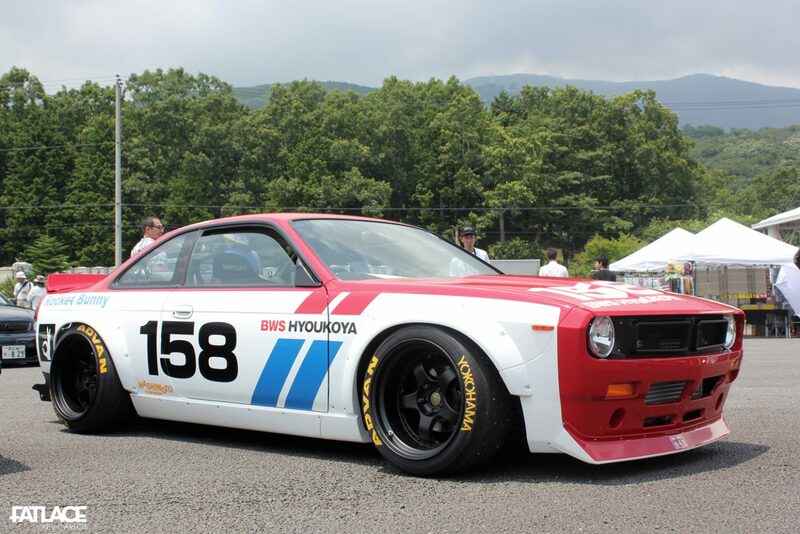 If you have been following 6666 Customs for the last 8 years, you surely will remember the first S13 kits for these cars. Remember these gasoline station photos? 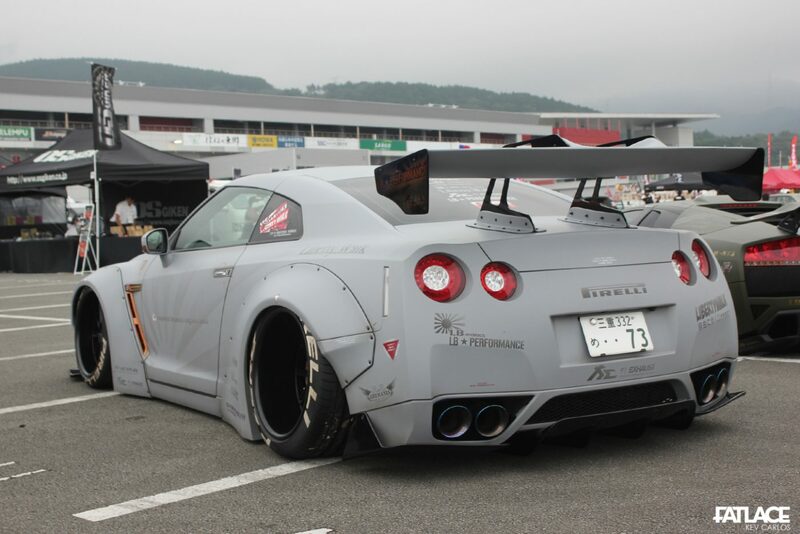 Yes, they do drift this thing. Widening the ZN6 has been the chosen recipe since its 2012 global debut at the Slammed Society show. With 3 current available styles for the chassis, the KM4SH might be my favorite due to its simplicity. 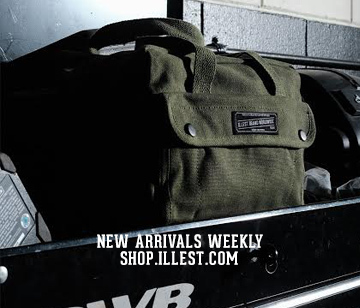 Another brand that needs no introduction. 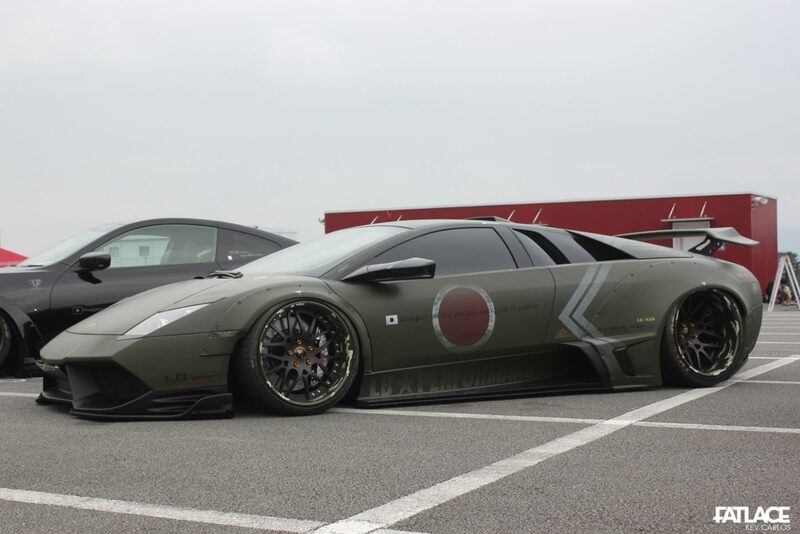 Miura-San’s good friend, Wataru Kato was present for his Liberty Walk meet. 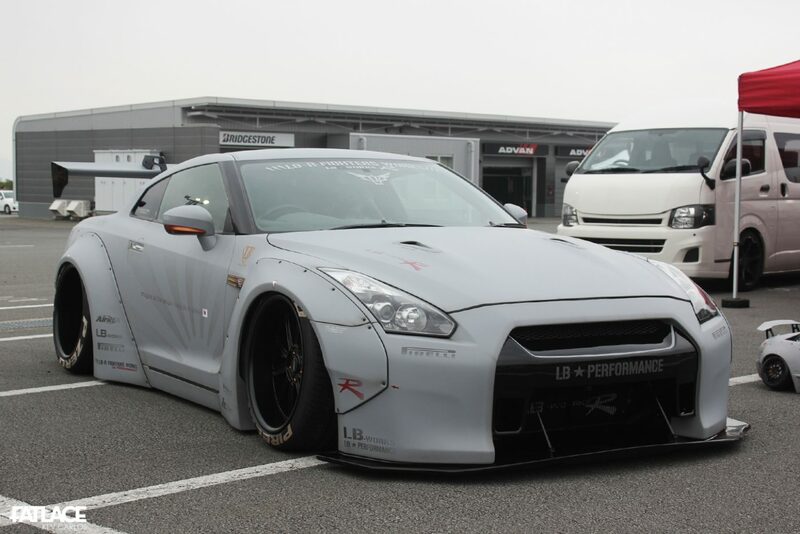 As we all know LB Works kits are manufactured by TRA Kyoto. 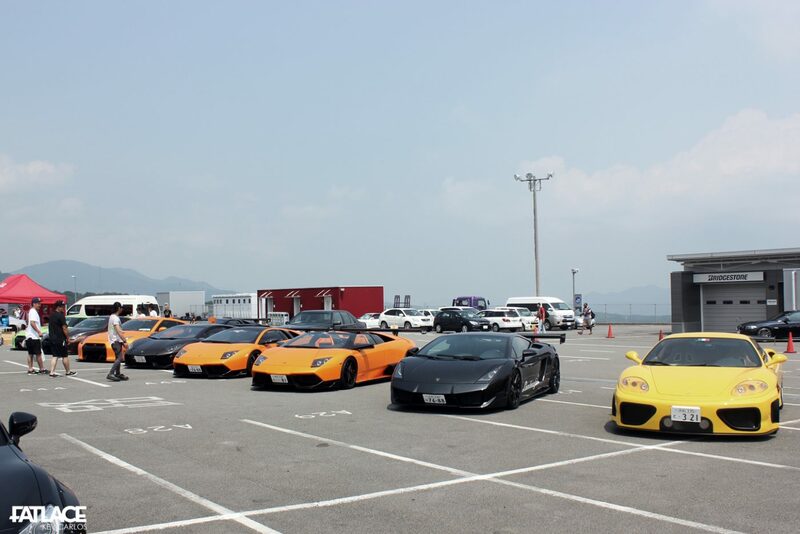 The meet was not limited to all wide-bodied Liberty Walk builds, it had several classic-Japanese-style modified exotics. 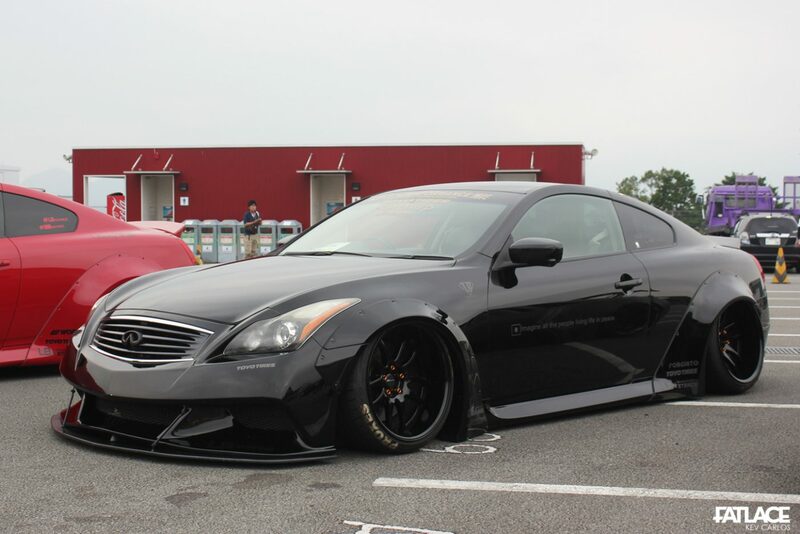 The meet also served as the debut of the Infiniti G37 body kit. Brown on brown? Why not? 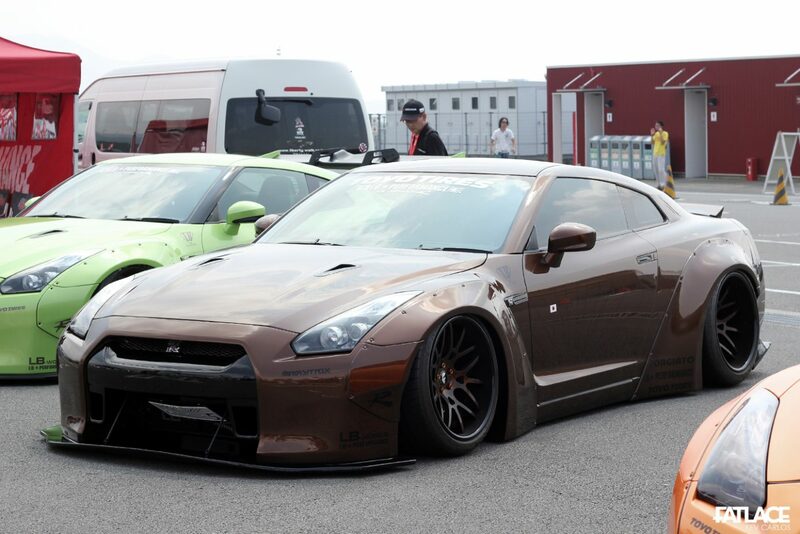 Check out the different shade of brown on this R35 GT-R.
A much aggressive approach on the overall theme of the Liberty Walk GT-R – the LB-R Fighters Works. 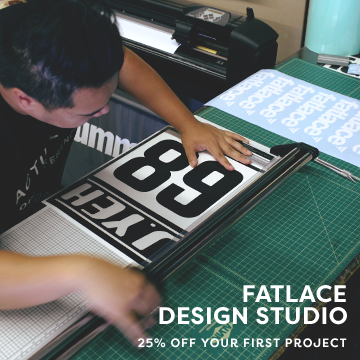 These division of the brand serves as a homage to the Japanese Zero fighter aircraft. 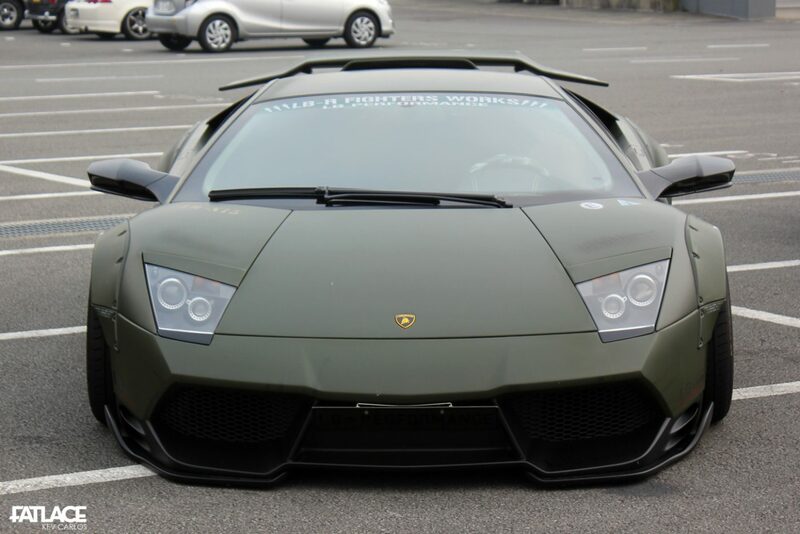 Cars are mostly painted in deep matte shades which has a notable airbrush appeal. If you inspect closely, details will fascinate you as parts of the cars has several color fades, discoloration, and burn marks that adds to a rugged-yet-still-conservative feel (if there is such thing). Shadows are accentuated by the finish – check out the lines on the bolt-on fenders, rear diffuser. Now this is a Zero Fighter aircraft on wheels! 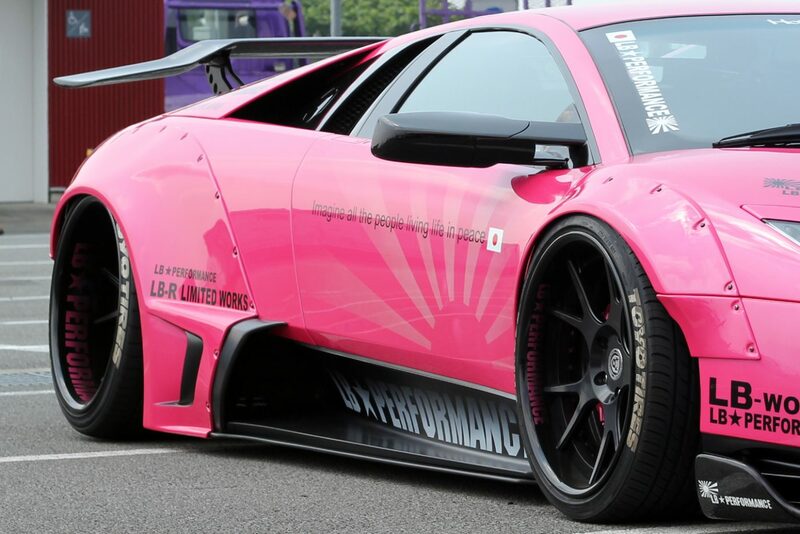 The LB-R Fighters Works Murcielago. Those ‘battle scars’ adds personality to the build, I believe they are paint-brushed. Kato-San toured me and showed me details on this one. He also introduced me to Ryo Kawamura, who allowed me to get a short feel on the car’s interior. Thank you Kawamura-San! 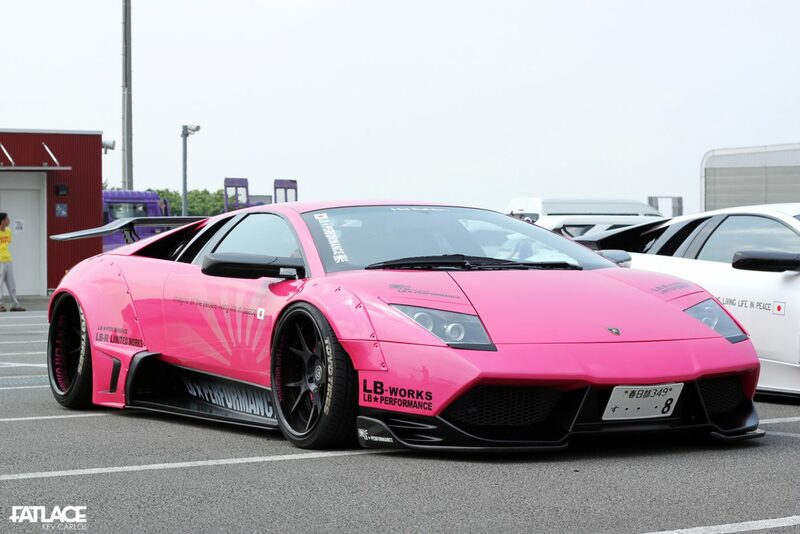 There goes the most menacing Murcielago ever built. 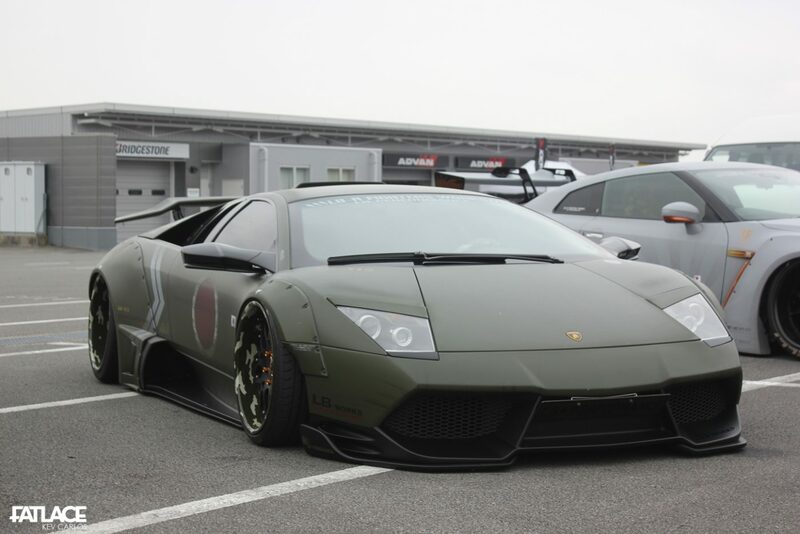 Another LB-Works Murcielago, note that these kits are only limited to 20 pieces. A visual proof that Miura and Kato perform good music together. With more than 8 of these lined-up, I was confused which one to inspect closely. 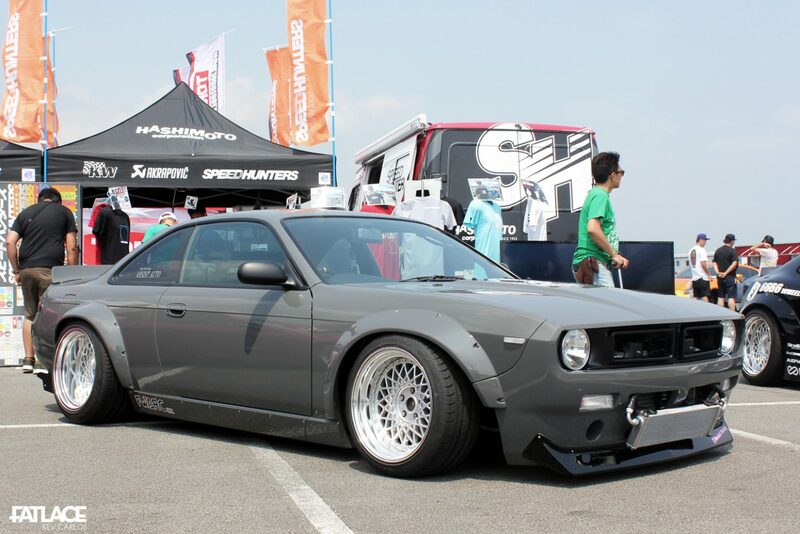 1 day is not enough at a meet / show in Japan. 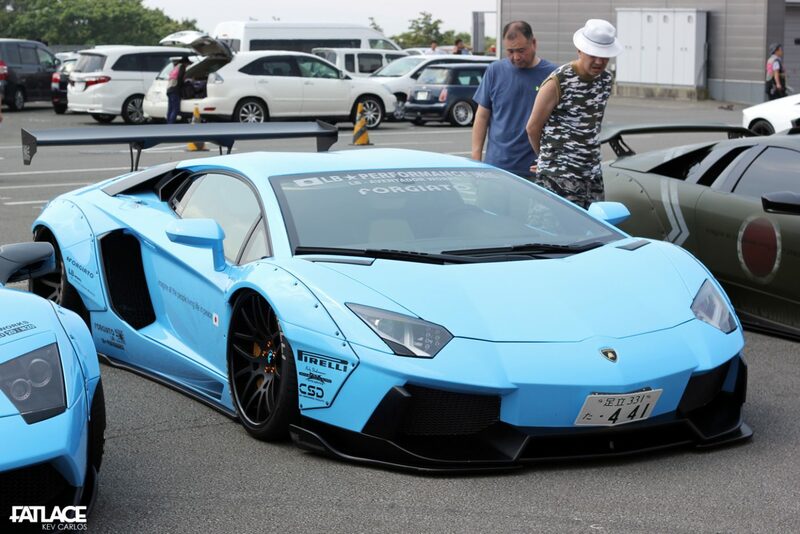 I’m a huge fan of Ferrari and LB Works, but given a chance to widen an exotic – I would go for a Lamborghini Aventador. 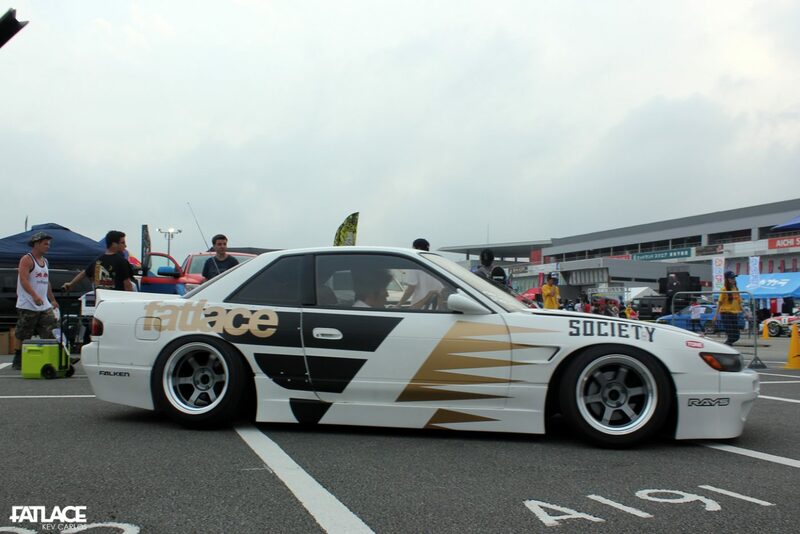 The wide-body scene is still growing and the movement looks more promising as SEMA and TAS is approaching soon. 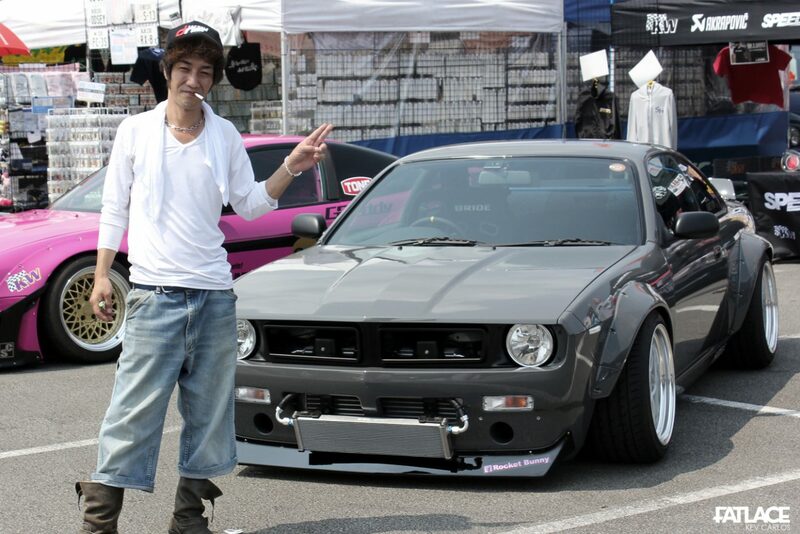 Will Miura continue to evolve his style through full-body conversions? What will Kato take on next? Who knows? Only time can tell. With these builds, it shows that that the Miura & Kato legend lives on – just like Batman & Robin. Hope you enjoyed this one.